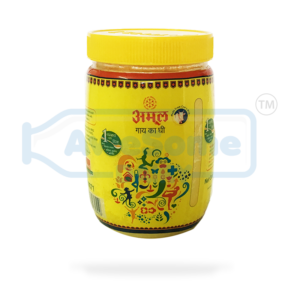 We all are acquainted with the fact that ghee which is widely used in Ayurveda is good for you. Its high-fat content has been linked with improved digestion and the reduction of disease-causing inflammation in your body. There’s a good chance that you keep reaching for the extra virgin olive oil instead because of ghee’s smell and strong taste. Like any clarified butter ghee is composed of fat, 62% of which consist of saturated fats. 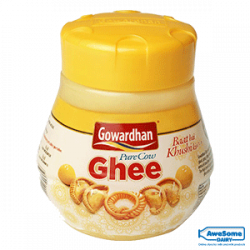 The word ghee comes from Sanskrit Ghrta meaning sprinkle, which means that the milk fat is rendered from the butter to separate the milk solids and water. It’s essentially a form of clarified butter. 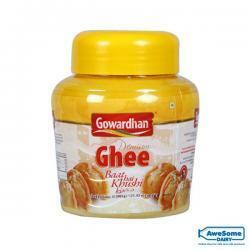 Traditionally, ghee is always made from the milk of cows, which are considered sacred. 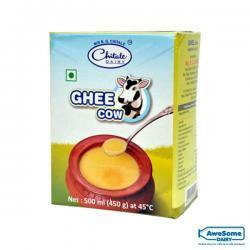 So you can buy ghee and cow ghee online at Awesome Dairy to add ghee in your diet. Clarified butter (or ghee) is made by heating butter until the water evaporates and the milk solids separate out. The resulting product is much closer to 100% fat. It also has a higher smoke point and a longer shelf life. Because all the milk proteins and sugars have been removed, clarified butter is also acceptable for people with lactose intolerance and milk allergies. 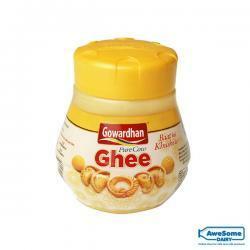 In India, the sale of fake ghee in a shop is stopped by Law Enforcement agencies whenever a complaint is made. 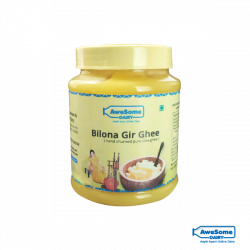 Also to tackle this dilution market best option is to buy ghee online. Clarified butter is sometimes also called Desi ghee or Asli ghee to distinguish it from ‘vegetable ghee’. 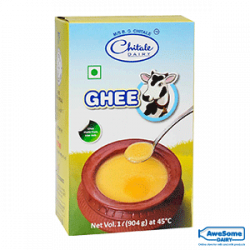 Ghee has a lot of health benefits, because of which the consumption of cow ghee has been increased in recent times. 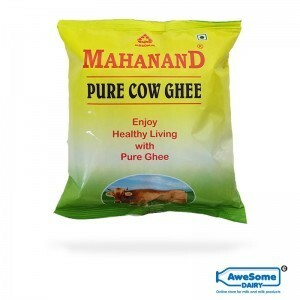 This need can be fulfilled with online ghee Shopping at Awesomedairy.com. 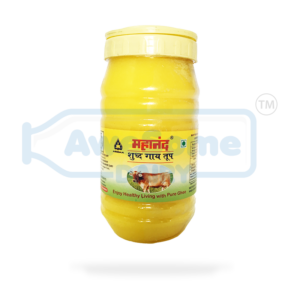 Awesome dairy Provides all types and best quality 100% pure cow ghee in one place. You get all the brands Online which are available in the market. 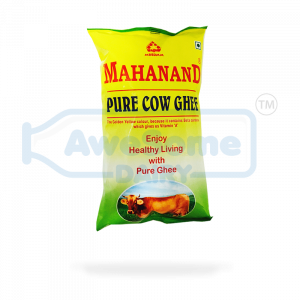 Find Mahanand, Gowardhan, Chitale, Nutoras and not to forget Amul delicious cow ghee online. 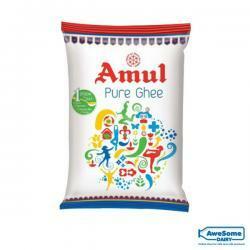 Awesome Dairy also provides the best price for Amul ghee and all other milk and milk products. So why to waste time and efforts in going to local shop and get a low-quality product. 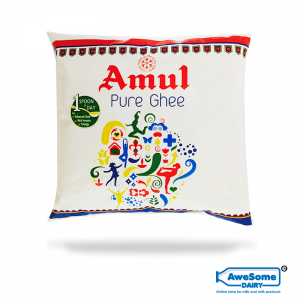 You can easily buy ghee online with doorstep home delivery with us. So save your time and money with shopping online at the Awesome dairy. You can be assured of having good quality products with timely delivery with Awesome dairy. 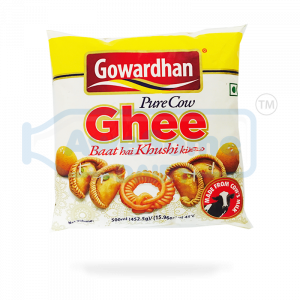 There’s also an option of bulk orders where you can order cow ghee in bulk online. 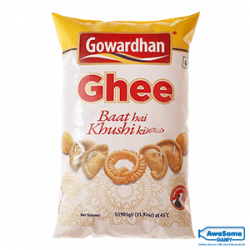 You can reap the benefits of getting huge discounts on bulk orders with free home delivery in Mumbai. Awesome Dairy parameters are being followed right from ordering products until the product gets delivered in temperature control boxes.